(CNN) - Pope Francis has taken another shot at wall-building politicians, telling thousands of Catholics in Panama gathered for World Youth Day that "builders of walls sow fear" and "divide people." It wasn't the first time Trump and Francis have tussled over the proposed border wall. 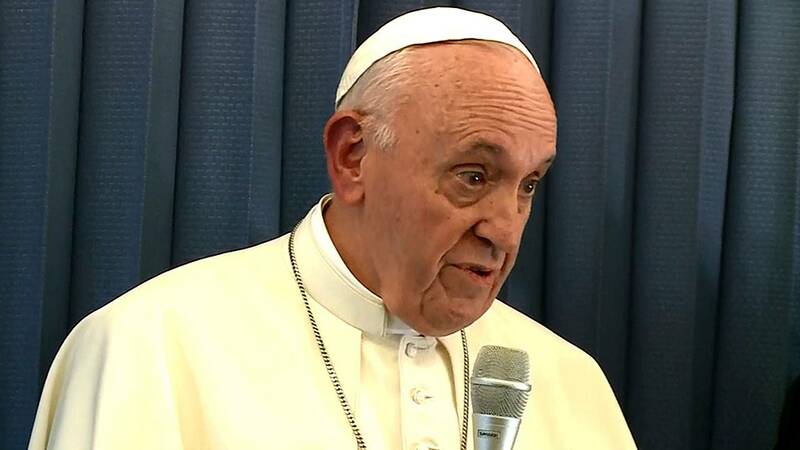 On Thursday, Francis, the son of Italian immigrants, said that "forced migration," driven by violence and poverty, is thrusting young migrants to leave everything behind and take a perilous journey for safer ground. "They find themselves boxed in and lacking opportunities, amid highly confidential situations with no quick solution: domestic violence, the killing of women -- our continent is experiencing a plague in this regard -- armed gangs and criminals, drug trafficking and sexual exploitation of minors and young people," Francis said to a gathering of Central American bishops in Panama. Overcoming these fears, he said, will require the church to do more than just welcome immigrants. Instead, he instructed his bishops to create dialogue "to help overcome fears and suspicions" that live in the imaginations of people. On Friday, Francis visited to a youth detention center in Panama, where he warned that division creates an "invisible wall." "This attitude spoils everything, because it erects an invisible wall that makes people think that, if we marginalize, separate and isolate others, all our problems will magically be solved," Francis said. Instead of backbiting and fighting on the issue, which the Pope says is a cycle society can fall into, Francis said communities should work to "create opportunities and change."